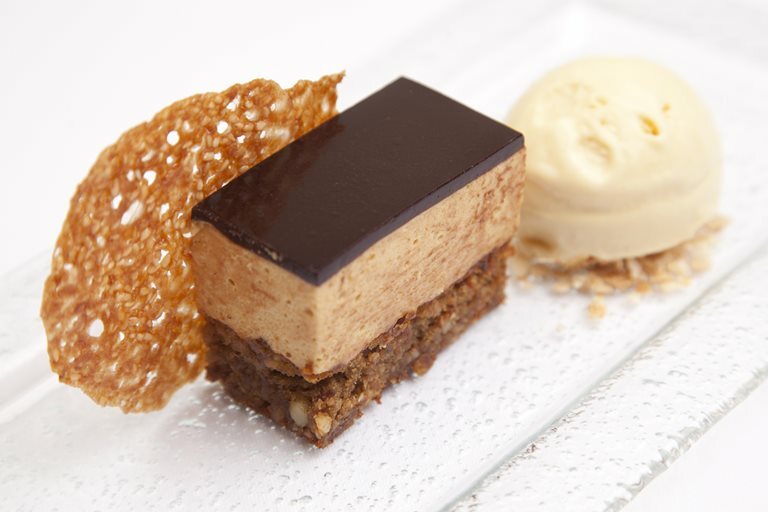 This exquisitely rich hazelnut mousse cake recipefrom Josh Eggleton contains tahini paste in the mousse element for an extra nutty kick. Served with a fabulously smooth malt ice cream, this dessert has some tricky elements but is achieveable with the right equipment and a bit of forward planning. This dessert was on the menu at the 2013 NSPCC ball.